The company announced Tuesday it has raised $10 million in a Series A round led by NEA. NEA partner Jonathan Golden, who previously worked at Airbnb, has joined the BlackBird board of directors alongside Francoise Brougher of Pinterest, Square and Google, and Andrew Swain, who also is from Airbnb. BlackBird has also hired Brian Hsu, who spent a decade at eBay and most recently was vice president of supply at Lyft, as chief operating officer. Davis is counting on Hsu, who has experience scaling marketplaces, to help BlackBird expand its membership and reach. BlackBird currently has more than 700 commercial pilots who fly passengers between 50 and 500 miles from and within California. For now, Davis said this is a self-imposed geographic restriction. It does face challenges. 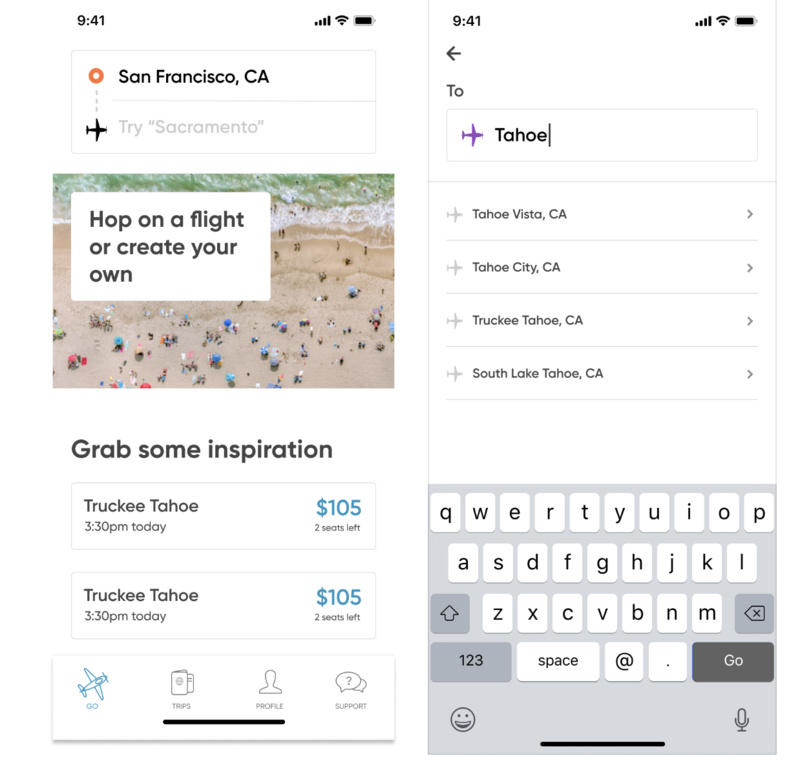 BlackBird has to find that price-per-seat sweet spot, which is largely driven by how many users and pilots are on the platform. Seats can be around $80 or upwards of $900, depending on the route, pilot availability and demand. And BlackBird must fight misconceptions of what and who the platform is designed for. “A lot of people have looked at this space before, and really have kind of come up empty handed,” said Golden, who was a seed investor in BlackBird before joining NEA.